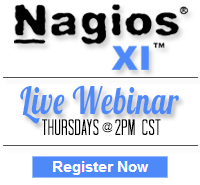 I have installed Nagios 20111.5 version,When i click , Check for update now I am getting error as Check update failed.I have configured the proxy server as mentioned in the documentation and my yum update and wget are working fine. Any help would be approciated. Can you repost this to our support forum? You’ll have a better chance of getting the solution you need. I confess that I have been getitng more and more into Nagios.I’ve found a plugin called NagiosQL that manages the configuration much easier with a mysql back-end, yet can be removed entirely as well, since it merely writes the files. (though also can perform sanity checks and trigger restarts). 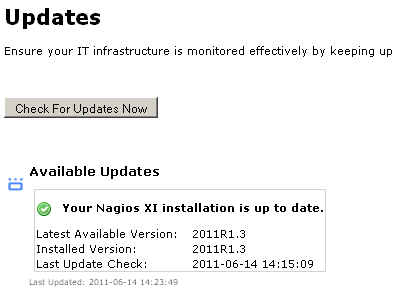 I have not made use of its managing remote nagios instances (via FTP) yet, but hope to try it out soon. 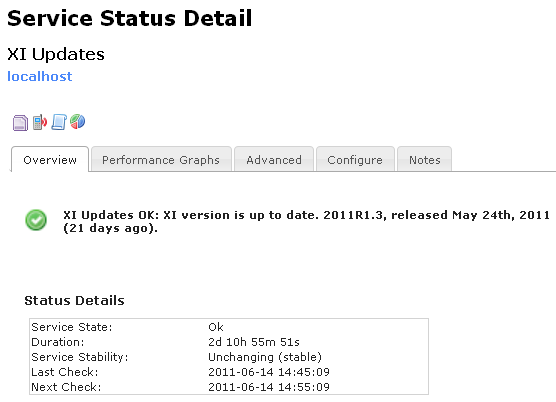 Curious how it does the sanity check remotely, though restarts are just writing to the command file.I’ve also used the NSCA plugin to report results to my standby nagios instance (failover box) so that state is maintained if we should need to failover.Next I am looking into NRPE so that either the master or slave nagios server can check both nagios servers with the same configuration. Hello Steve, you have right, it works for me also. The problem is httpproxytunnel option – this seems not to work. I don’t know, if this depends from corporate proxies or is general a problem. Thx Stan.